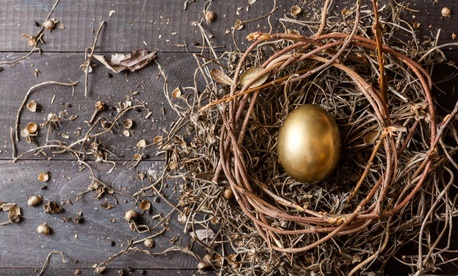 The agency that administers the federal government’s 401(k)-style retirement savings program issued a rule Wednesday that would remove what officials call “duplicative” regulations on how court-ordered payments are taxed. According to a document in the Federal Register, the Federal Retirement Thrift Investment Board, which administers the Thrift Savings Plan, will remove language outlining the federal income tax withholding rates for court order payments, like alimony and child support, from participants’ accounts, in 30 days, unless there are significant comments opposed to the change. In explaining the change, the agency said that tax withholding rates already are regulated by the tax code, and that it would be better for the TSP to inform participants about the rates through other means. Earlier this week, the TSP announced plans to change the proportion of investments in its lifecycle (L) funds to more strongly favor stocks throughout the life of the portfolios. Starting with the issuance of the L 2060 Fund, new L funds will begin by investing 99 percent of investments in equities, and only 1 percent in government securities. Under the new plan, referred to as a glide path, stocks will stay at 99 percent until the average participant in a fund reaches 35 years old, at which point investments will shift toward securities. The proportion of equity investment in the L funds will drop to 60 percent when the participant is age 58, and it will bottom out at 30 percent equities at age 63, the target retirement age. In the meantime, existing L funds will maintain their current stocks to government securities ratio until they intersect with the new glide path, at which point the funds will follow the new trajectory. The aim of the change, which will be phased in over the course of 15 years, is to improve the financial performance of the funds, while minimizing additional risk. The new glide path is projected to provide retirees with annuities that amount to 71 percent of the income they made in their final working years. On Tuesday, the Senate voted 93-7 to approve the conference committee agreement on a minibus spending package for the departments of Defense, Labor, Education and Health and Human Services (H.R. 6157), which also budgets for a 1.9 percent pay increase, provided it is approved in another spending bill. That measure suggests that a pay raise provision overruling President Trump’s proposal to freeze federal civilian pay next year is likely to be included when lawmakers from the House and Senate reach an agreement on the minibus including the Interior, Environment, financial services and general government, Agriculture, Transportation and Housing and Urban Development appropriations bills (H.R. 6147). Last week, lawmakers conceded that the chambers remain divided on a number of provisions of that bill and likely will not reach agreement before the Sept. 30 deadline to fund those agencies. Both chambers are expected to advance a short-term continuing resolution to keep agencies not included in the already approved minibuses open until early December.